Below are news stories relevant to the Second Congressional District of South Carolina and my campaign for Congress, as well as some of my published essays and articles that represent my worldview and political philosophy. On April 2, 2017, I presented a TEDx Talk at TEDxHammondSchool on the subject of political revolution and our 2016 campaign for South Carolina’s 2nd Congressional District. Undeterred, Arik Bjorn said he plans to run again. He said he would consider taking on Joe Wilson, challenging for Republican state Rep. Kirkman Finlay’s S.C. House seat or running for governor in 2018. “I know I have established myself as a person of reason who has thought through the issues carefully, someone who takes stands on what he believes to be a better way,” he said. “The funny thing is, tomorrow morning when we wake up, Joe Wilson will still have voted no on the Violence Against Women Act, and unemployment in the district will still be 8.5 percent. Unfortunately, 62 percent of the people seem to be fine with that. 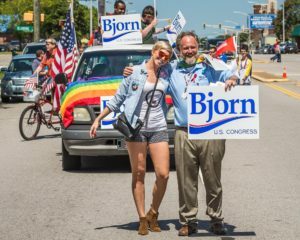 “The people of S.C. Congressional District Two did not have a viable other candidate for years,” Bjorn added. “They have one now. They have an outspoken leader in me. And when I say leader, really I just say the light of reason that’s in all of us. I’m just willing to express it and carry the burden of certain work. “I’m proud of what we’ve done. I want to thank the people of District 2 for voting. 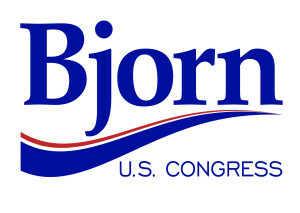 I’ll go to bed tonight knowing that I put 100 percent of my effort into this campaign,” Bjorn said. CLICK HERE TO WATCH THE NOVEMBER 4 DEBATE ARCHIVE! The debate begins at the 8-minute mark. If you really want to watch some fireworks, watch Arik Bjorn’s firework finale remarks at the 1:22:00 mark. Voters in South Carolina’s 2nd District can watch their congressional candidates debate live on the Internet Friday. I believe it’s clear that Congressman Wilson just doesn’t give a dam. Or a bridge or a road. When it comes to infrastructure investment, Status Quo Joe can’t pin pothole tails on Donkeys. He has only the Elephants in the room to blame. This is Bjorn’s issue of the week: knocking the incumbent over his 2013 vote against a bipartisan bill that renewed and expanded resources for fighting domestic violence…A Wilson spokesperson says the congressman voted against the final version. As I reflect on the one-year anniversary of the 1,000-Year Flood, it appears clear that Joe Wilson just doesn’t give a dam. Or a bridge or a road. South Carolina has more than 1,800 deficient bridges—and 7 of the Top 10 most-traveled, deficient bridges are in South Carolina’s 2nd Congressional District. One-third of South Carolina’s interstate pavement is classified as “fair or poor.” One-third of the dam breaches in our state during the Historic Flood occurred in Congressman Wilson’s SC District 2 backyard—on his watch. An unchecked watch that has lasted 7 terms and 15 years. Joe Wilson hasn’t done his job. But I will vote to invest in Infrastructure in South Carolina, and by doing so, we can eliminate unemployment and keep our state safe. On infrastructure, Bjorn called the deficient roads and bridges nationally and in South Carolina a “crisis.” “We have an infrastructure that needs to be fixed today, not tomorrow,” he said. Arik Bjorn, Wilson’s Democratic opponent, also opposes TPP, noting that Congress will only get an up or down vote on the deal. He calls the international tribunal a deal breaker: ‘I don’t know who that doesn’t concern other than the corporate attorneys who get to sit on that tribunal,’ he says. 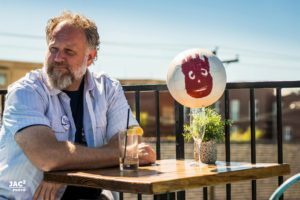 For their part, Cherny and Dixon have teamed up with Bjorn and Hyman to form the “Blue Brothers,” providing a support system on the campaign trail when money, manpower and resources can’t come through. … Arik Bjorn, a librarian who managed the StateSmart Program, is going up against U.S. Rep. Joe Wilson, a firmly-implanted establishment figure with a 15-year tenure. Republican U.S. Rep. Joe Wilson, Democratic Columbia librarian Arik Bjorn and American Party candidate Eddie McCain will square off on Nov. 4 in front of a crowd of roughly 800 students at River Bluff High School. Arik Bjorn of Columbia says a look at the 2012 ballot inspired him to run for the 2nd District seat in the U.S. House this year. “I walked into my poll and it was (Republican incumbent) Joe Wilson versus nobody. That moment had a lasting impact for me,” said the Richland librarian, who won the Democrats’ June primary for the 2nd District seat. South Carolina, home to the Bonded headquarters, is also home to one of these change-makers who knows “there’s a better way.” Arik Bjorn, candidate for South Carolina’s Second Congressional District, is a single father, public servant, writer, and progressive candidate running on a platform that includes, among other things: infrastructure, healthcare, worker’s rights, and of particular interest to us, women’s rights. 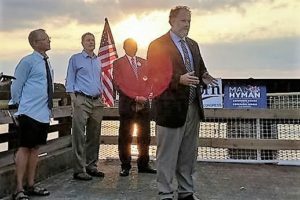 Four newcomers to South Carolina politics fished for votes Saturday at a dawn press conference in the middle of the Pee Dee River as fishermen and crabbers tried their own luck nearby. We urge you to contact SCETV’s Director of News & Public Affairs if you think our state public television network is not serving your needs in this matter. A political newcomer is hoping to shake up the Republican grip on South Carolina’s 2nd Congressional District. Long-time incumbent U.S. Rep. Joe Wilson (R-S.C.) has accepted a debate challenge from his Democratic opponent Arik Bjorn, a 43-year-old public librarian from Columbia making his first-ever bid for elected office. “Congressman Wilson wants to discuss the issues important to South Carolinians, and our campaigns are working out the details” of the debate, Wilson campaign manager Brielle Appelbaum confirmed by email. U.S. Rep. Joe Wilson and his Democratic opponent in this fall’s general election have agreed to a debate, Columbia librarian Arik Bjorn told The Buzz. We’re always happy to swing by Frank Knapp’s show, and any program that has SC Equality as a sponsor! The interview begins at the 5-minute mark. VOTER: If you had to pick your SINGLE most important policy stance or issue, what would it be and why? 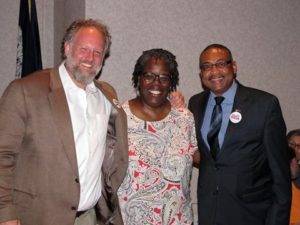 In late May, I reached out to my good friend, Pastor Thomas Dixon, the Democratic Party-Green Party fusion candidate for U.S. Senate in South Carolina…. Bjorn isn’t upset about the narrow margin, either. “At this point, it will serve as a template election, a poster boy to all South Carolinians that every vote matters,” Bjorn says. 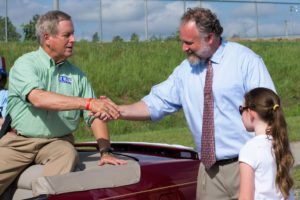 Librarian Arik Bjorn on Saturday officially clinched the right to face veteran U.S. Rep. Joe Wilson, a Lexington County Republican, in the Nov. 8 general election. … “We’re really excited that for the first time in a long time, the nominee for the 2nd Congressional District is going to be a real Democrat,” S.C. Democratic Party chairman Jaime Harrison said. Arik Bjorn has been declared the winner of the Democratic primary in South Carolina’s 2nd Congressional race by 45 votes out of more than 19,000 cast. The South Carolina Election Commission certified the results Saturday afternoon after a recount mandated by law. Librarian Arik Bjorn and semi-retired hardware store owner Phil Black must wait until Saturday to learn which of them will face veteran U.S. Rep. Joe Wilson, R-Springdale, in the Nov. 8 general election. 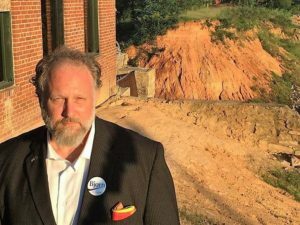 Arik Bjorn has been declared the winner of the Democratic primary in South Carolina’s 2nd Congressional race by 45 votes out of more than 19,000 cast. The South Carolina Election Commission certified the results Saturday afternoon after a recount mandated by law. 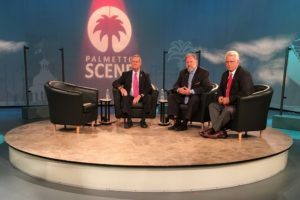 South Carolina Democratic Party Chair Jaime Harrison sits down with SC 2nd Congressional District candidate Arik Bjorn and SC 1st Congressional District candidate Dimitri Cherny. “The SCDP typically does not endorse candidates during the primary, but this is a unique situation and requires unique and bold action and leadership,” SCDP Chairman Jaime Harrison said. “Let Your Voice Be Heard!” at WHCR 90.3 FM in New York City talks with South Carolina 2nd Congressional District Candidate Arik Bjorn about his campaign to unseat incumbent Republican “Status Quo” Joe Wilson. COLUMBIA, S.C., – At the Lexington County Democratic Party Executive Committee meeting, Arik Bjorn publicly announced his candidacy for South Carolina’s 2nd Congressional seat. Two Democrats filed to compete for the right to challenge incumbent Republican Rep. Joe Wilson … Columbia writer Arik Bjorn, who has run the S.C. SmartState program. Arik Bjorn and Phil Black have both filed for the District 2 seat. Whoever wins, be it Bernie or Hillary, the Democratic Nominee will need my voice in my community, in my district, in my state. And the Democratic Nominee will need your voice too. They’ll need our voices.